Windows 10 versions released in 2017 – the Windows 10 Creators Update and the Fall Creators Update – made us hopeful that Microsoft may have finally found a system that deals with a majority of bugs before a new version is released to the public. While those two versions weren’t free of all the bugs, the issues weren’t as widespread. 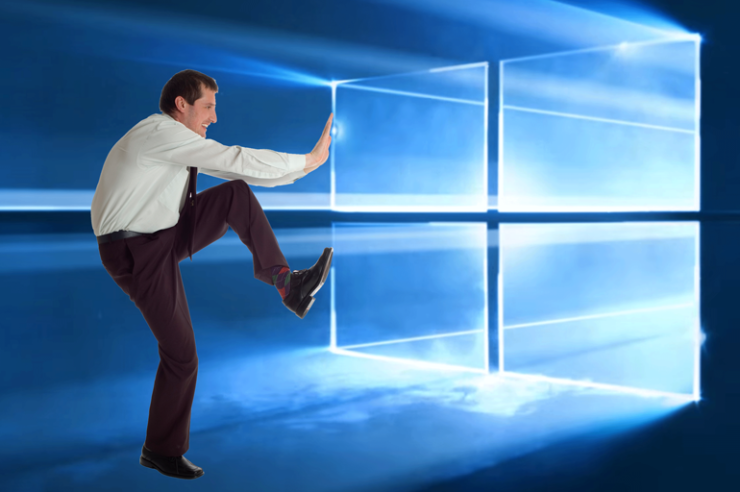 However, Windows 10 April 2018 Update is reminding many of the early days of Windows 10 when every new version ended up breaking machines or brought some migraine-inducing compatibility issues. After multiple user reports, Microsoft confirmed earlier this month that the latest version has been blocked on Intel and Toshiba SSDs. It now appears that the Redmond software giant is blocking Windows 10 installation on systems running Avast antivirus software, as well. Avast confirmed the issue with the company sharing on a forum post that Microsoft has “temporarily” disabled updates, but that both the companies are working together to fix the issue. Microsoft temporarily disabled the updates on version 1803 on PCs with Avast. We are working together with MS to find out the cause of this issue, but unfortunately right now neither MS nor us are able to reproduce the issue. According to reports, some users have had their computers completely bricked after installing the latest Windows 10 update. While Microsoft has blocked the update now, it did end up messing up many machines before the update was pulled back. If you want to install Windows 10 April 2018 Update, you must uninstall Avast antivirus before installing the latest Windows version. Some users report that there are no issues if they install Avast after installing Windows 10 1803, but proceed at your own risk.